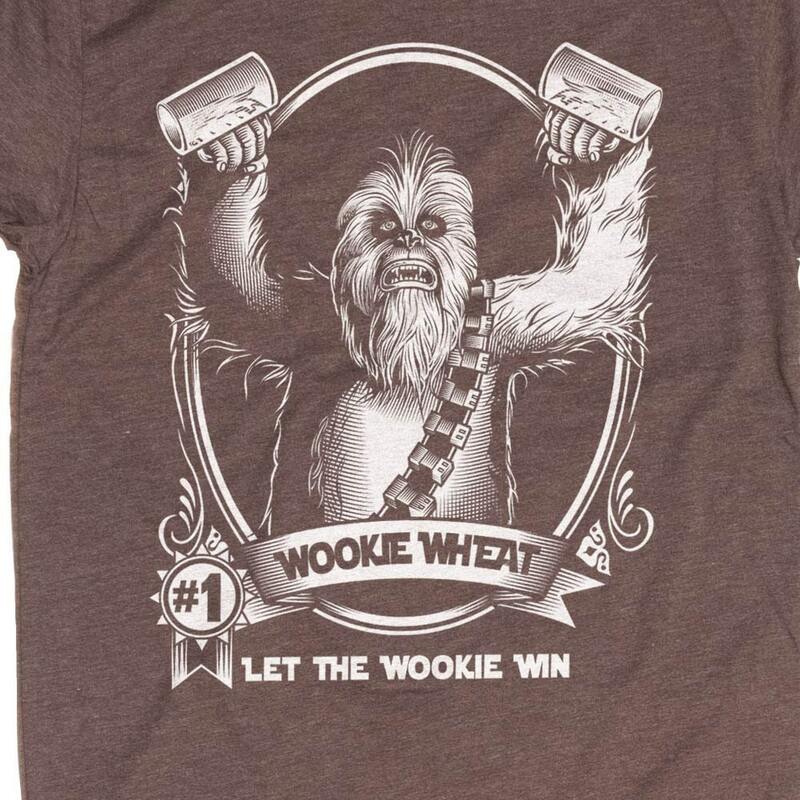 When it comes to craft beer brewing, we just let the Wookie win. 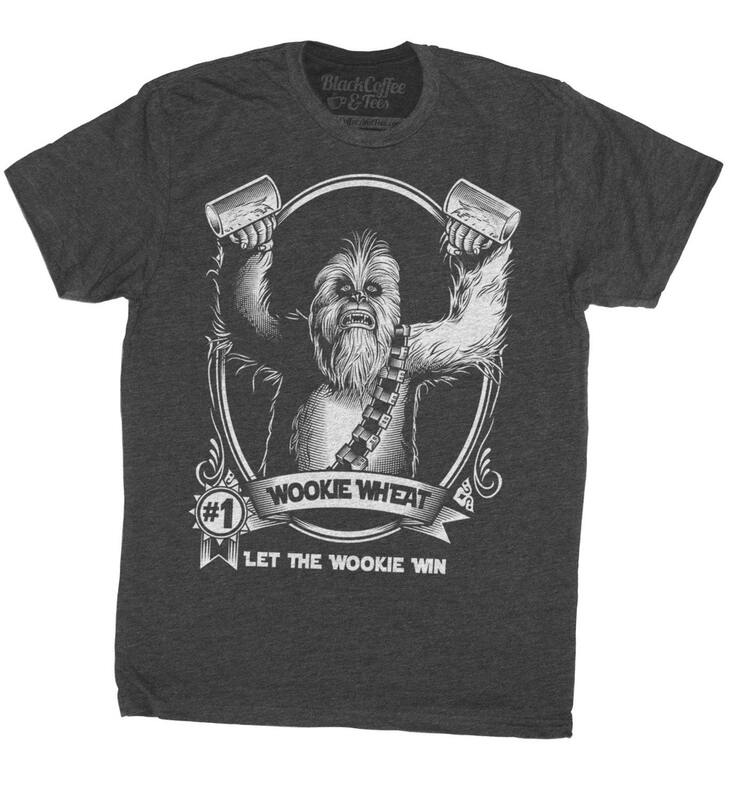 Chewbacca aka Wookie Hand Screen Printed on a Mens T-Shirt. Perfect gift for the craft beer lover in your life. Super nice. 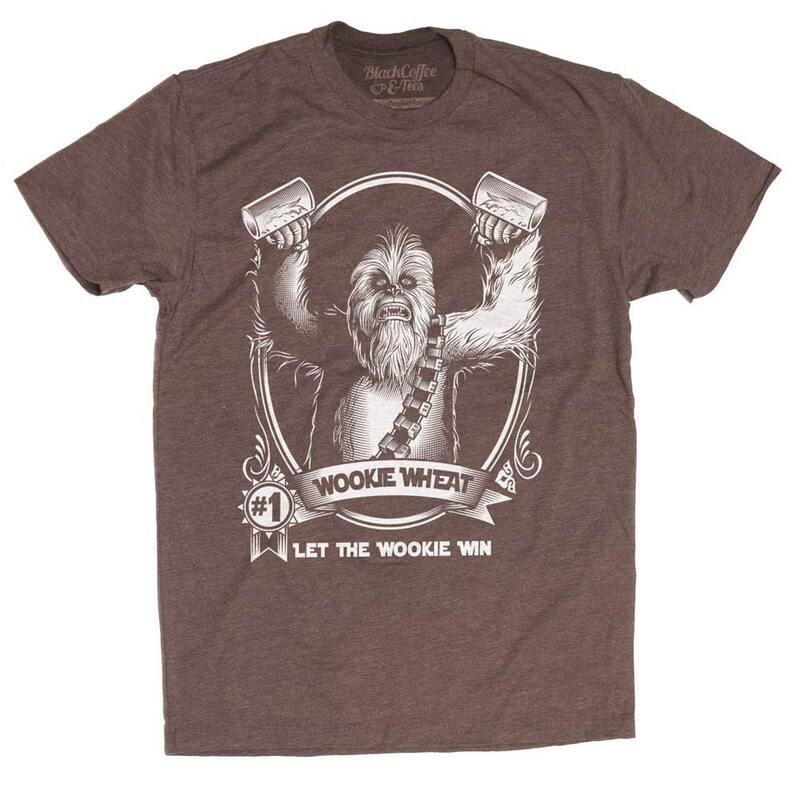 Perfect for my beer critic husband who we are dragging to a Star Wars party at Hollywood Disney. 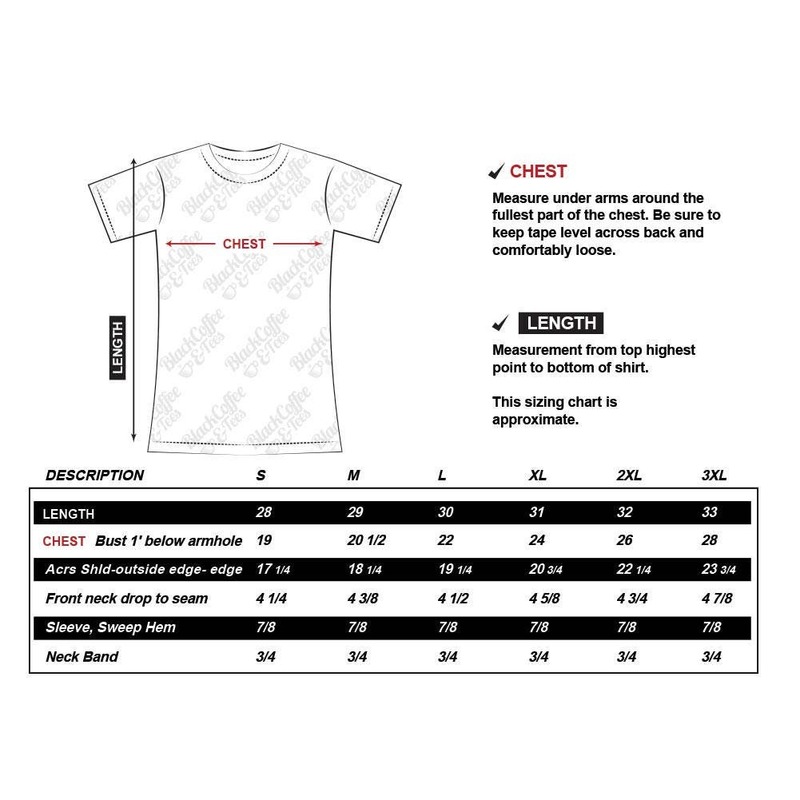 Light weight soft stretch black tee seems to be a great quality shirt. Purchased as a gift for my beer brewing father. He loved it!